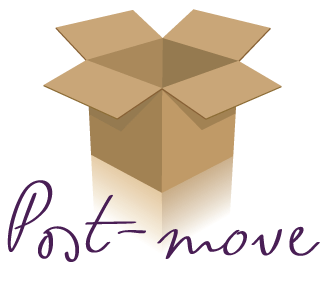 Get them moved in so they can move on…with LIFE! Our services start with a free consultation Let’s Plan a Move! Our team helps your team move in and move on so they can get right down to the business of Business. Guaranteed. Our highest objective is to ensure that your valued executives are relocated quickly and with utmost care. This is why our All Right Moves™ network includes Professional Organizers who are experienced efficiency experts. When we arrive, your employees can resume work, confident that their families are well cared for and settled into their new homes. Traditional moving companies may be an efficient, cost-effective option for the packing and transportation of goods. This is not often the case on the destination end. We speak with corporate executives weekly who have had less than gratifying experiences. Moving delays, lost articles, mishandling and poor communication lead to frustration, worry and stress. We understand the frustration and the urgency – executives want their home lives settled quickly so that they are confident when they return to work. Our services are the icing on the cake. They are the final touch that leave people feeling excited about their new home and future. Our clients receive the personal attention and support that they and their families need. All Right Moves™ teams assure these VIPs that they are in competent hands – hands that we would (and do) put our own families in. Facilitating quick transitions to maximize the talents of Corporate Executives, All Right Moves™ offers service benefits that help employers express regard for quality employees by honoring the home life that they value most. Employees return to work focused and confident in moving forward. The total shipping weight of actual items moved is lessened, and since most moving companies charge by the pound, this is a large dollar savings. Nationwide, staged houses sell faster and at higher prices. The costs of a delay in home sale is avoided for both the company AND the employee. All Right Moves™ professionals remove the burden of from your transferee of having to decide on how to dispose of unwanted (but still good) furnishings by coordinating with local charities to ensure that these pieces are carefully removed and donated to benefit other families in the area. 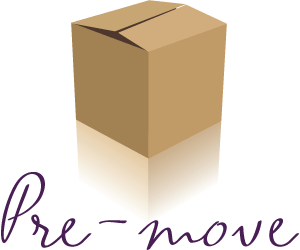 An All Right Moves™ team is there to meet the transferee or their mover at the new location. They start unpacking right away. Families get settled more quickly and employees return to work faster. Moving is stressful. Whether your transferee is single or has a family, they will feel some amount of anxiety during their transition. Work responsibilities change, living quarters change, local surroundings are different. There is a long list of details pertaining to all of this that need to be addressed urgently. 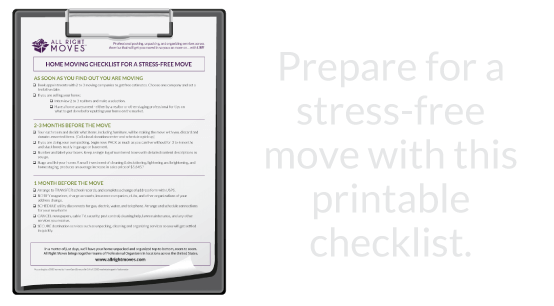 Many “unpack” services actually do a disservice when they leave the home disorganized and the new owners in a state of chaotic panic. Our teams of professionals provide both physical and mental support to all involved. 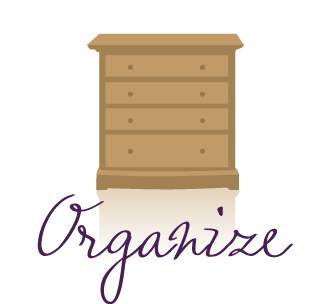 Organization is shown to be key to executive functioning. 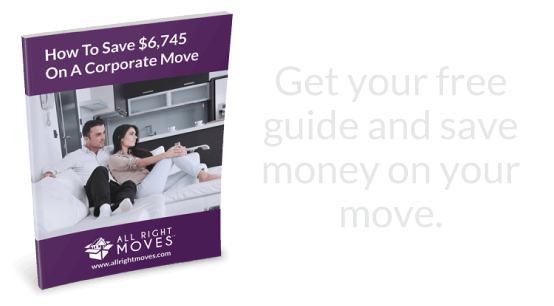 All Right Moves™ uses Professional Organizers that set up systems that are custom fit to support your employee and their family. Whether it is a single or married lifestyle, a family with young children, teenagers or the addition of Grandma in the mix, care is taken to set the home up for its best functioning, allowing for your employee and all affected family members to focus on work and life. Your investment in relocating an employee is a direct investment in your business. Getting them up and running as quickly as possible directly affects your ROI. Every day or week that your transferee needs to deal with home set-up issues, is another day of lost value for you. We can help. Your employee’s home will be unpacked and organized – top to bottom, room to room – in a matter of days, not months or weeks. Further Benefits of Using Our Professional Network – Another advantage of using All Right Moves™ to get your employees settled in is our network. Transferees are immediately introduced to local productivity professionals. Our teams afford them the opportunity to try out multiple organizers at once so they can decide which style suits them best. Later, they can utilize our network discounts to call on these professionals for future productivity needs. The organizers used on our jobs are professionals who are individually licensed and insured. Each of these organizers has their own methods and specialties, offering a broader scope of service to the team. Following the move, we will continue to support your employee and their family by offering them significant discounts on future organizing services. Home Inventories, Holiday Prep, Photo Organizing, Office & File Management services are just some of the ways our network can continue to support yours! No matter what benefits you choose to provide, your employees will thank you. Guaranteed.